So where, when the dust has settled, will the UK end up? It will become Canada. It will have a trade relationship with the EU similar to Canada’s. It will relate to the EU in a way not dissimilar to Canada’s relationship with the US. It will remain a middle-of-the-road democracy, like Canada, and not become, as David Davis, secretary of state for Brexit puts it, a “Mad Max” dystopia leading a regulatory race to the bottom. Finally, like Canada, it can seek a modestly positive global influence. Michel Barnier, the EU’s chief negotiator, has explained why the UK’s future trading relationship with the EU will be similar to that in the EU-Canada Comprehensive Economic and Trade Agreement, or Ceta. This agreement allows both sides to enter into separate deals with other partners. It also puts Canada outside the EU’s customs union and single market. Thus Ceta provides limited benefits to providers of services. As Mr Barnier notes, the UK’s “red lines” — no jurisdiction by the European Court of Justice, no free movement, no substantial ongoing financial contribution, and regulatory and trade policy autonomy — preclude membership of the European Economic Area. These red lines also rule out an agreement similar to that with Switzerland. The UK’s opposition to ECJ jurisdiction and the demand for regulatory autonomy precludes an association agreement like Ukraine’s. The demand for an independent trade policy preclude even a customs union agreement, such as the one with Turkey. When everything impossible is ruled out, what is left is an agreement like that with Canada. Mr Barnier is likely to be proved right. One reason for believing so is that he usually is. Another is that the red lines are deeply embedded in the UK. Malcolm Rifkind, a former Conservative foreign secretary, is correct to say that the UK is unlikely to accept an obligation to follow EU regulations without a voice in them. If it were prepared to do so, it would make more sense for it to withdraw its application to leave the EU. The Ceta model would impose real economic costs. In particular, UK suppliers of goods to the EU would have to meet rules on local content, while British suppliers of services would lose existing favourable access. But to avoid these outcomes, the UK would need to change its red lines or persuade the EU to change its position on essential matters. On the former, the UK might abandon its desire for trade policy autonomy in order to join a customs union agreement. It might accept free movement and so have an agreement similar to Switzerland’s. It might even accept a substantial role for the ECJ. But none of this currently looks at all likely. On services, the government hopes for a process of “managed divergence”, in which new UK regulations are recognised by the EU as equivalent in aim, if not in detail, to the EU’s own. The EU is likely to reject this: it smacks too much of the UK’s having its cake and eating it; it would set a dangerous precedent; it would be complex to agree and monitor such divergence; and it would demand trust in the UK’s good intentions — a trust that its own debate makes hard to sustain. Too many laud the opportunity to eliminate burdensome EU regulation, without being precise on what needs to go. Some in the UK believe the country’s financial services industry brings such great blessings to the EU that the latter should go out of its way to keep it inside the single market. That was easier to argue before the financial crisis. Moreover, access to UK-based wholesale markets would remain, even if UK-based suppliers lost “passporting” privileges. The most likely journey, then, via a temporary standstill of up to two years, is to a Canada-style deal. True, that might leave the problem of the Irish border unresolved. It would also impose substantial costs. The recently leaked UK government analysis concludes that, under such a deal, UK gross domestic product might be 5 percentage points lower than it would otherwise be, after 15 years — a loss of about a fifth of the potential increase in output by that time. In this respect, of course, the UK’s position is very different from Canada’s: Ceta benefits Canada; such a post-Brexit deal would harm the UK. But that is the result of the decision to leave. Once outside, the UK would, like Canada, have greater freedom over its regulatory regime. But it is a safe bet that a bonfire of UK regulatory, tax and public spending commitments is not going to occur. In the UK, as in Canada, little support exists for such radical policies. Again, like Canada, the UK will want to strike new trade deals. It will seek to join existing free trade agreements and create new ones. The difficulty here is that the important deals (with the US, China or India) will be tough and the easy deals (with, say, Australia or Canada) will be unimportant. Furthermore, the iron law of trade applies: other things being equal, trade halves as distance doubles. That explains why the UK is as important a trading partner to the EU as the US, and the EU, in turn, is the UK’s dominant partner. New deals cannot offset what it will lose. Moreover, contrary to views advanced by the Legatum Institute in London, the UK will not be the new leader in global liberalisation. It is not big enough for that. The UK will still need a fruitful relationship with the EU. It is also more powerful, relative to the EU, than Canada relative to the US, partly because it has a bigger economy than Canada’s (almost twice as large) and partly because the EU is not a federal state with huge armed forces. But the UK will often find its neighbour frustrating and overbearing. The price of being an outsider will be palpable and permanent. But big choices have big consequences. President Trump’s out-of-control weekend Twitter storm has raised these concerns to new heights. Our European allies no longer know what to believe. “Is it deeds? Is it words? Is it tweets?” asked Germany’s foreign minister at the annual Munich Security Conference. While senior administration officials offered reaffirmations of traditional American positions, our allies did not know whether they were speaking for the president and if so, for how long. Surely no less is required of the president. But when his own national security adviser stated that “the evidence is now incontrovertible” that Russia worked to undermine our most basic constitutional processes during the past election, Mr. Trump slapped him down with a tendentious tweet. He has repeatedly chosen to take the word of Vladimir Putin, the autocratic ruler of Russia and a former KGB agent, over the judgment of the entire U.S. intelligence community. Mr. Putin’s Russia, which is waging war in Eastern Europe and propping up Bashar Assad in Syria, has become an enemy of the U.S. Can any fair-minded person say that the president is doing what he should to defend our Constitution and laws against this threat? He isn’t, and the reason why should be clear to all: President Trump regards any affirmation of Russian electoral influence as an attack on the legitimacy of his 2016 victory. He cannot distinguish between the national interest and his own insecurities, making it impossible for him to acknowledge the nature of the Russian threat. That Mr. Trump thinks this way poses a clear and present danger. The question is what to do about it. Article II of the Constitution gives the president broad powers in foreign affairs. Law, custom and congressional dereliction of duty have expanded these powers further. But no president can act alone, which is why those who serve him have power as well. It is time for the secretary of defense, the secretary of state, and the national security adviser to confront Mr. Trump, collectively and directly, to inform him that unless he publicly affirms the reality of the Russian threat and authorizes the strongest possible response to it, they will have no honorable alternative to resignation. They swore an oath of loyalty to the Constitution, not to Mr. Trump. There is a starker alternative, which no one should contemplate lightly. Section 4 of the 25th Amendment gives the Vice President, supported by a majority of the cabinet, the authority to declare that the president is “unable to discharge the powers and duties of his office.” If the president contests this determination, as Mr. Trump surely would, Congress is empowered to settle the matter. Taking this step would create a political crisis. But if the alternative is leaving our country undefended against an attack on the foundation of political legitimacy—free and fair elections—invoking the 25th Amendment would be the lesser evil. The drafters of the amendment contemplated the president’s physical incapacitation, as when a stroke felled Woodrow Wilson. With Mr. Trump, we face the incapacitation of character—an inability to master his passions sufficiently to distinguish between the country’s well-being and his fathomless self-regard. Our Founders did their best to devise institutions that would defend us against the frailties of our nature. But they understood that these institutions formed an imperfect bulwark. When the people go badly astray, ordinary checks and balances may not suffice to protect them against themselves. The Americans who supported Mr. Trump in 2016 had genuine grievances that both parties had neglected for far too long. But he is a deeply, dangerously flawed instrument of their purposes. In choosing him, they made a mistake that threatens America and the world. It is no violation of democracy to say that the people are not always right. To claim that they are is to cross the line from democracy to flattery, and to surrender the liberty of independent judgment on which democracy ultimately depends. MUNICH – Multipolarity is back, and with it strategic rivalry among the great powers. The re-emergence of China and the return of Russia to the forefront of global politics are two of the most salient international dynamics of the century thus far. During Donald Trump’s first year in the White House, the tension between the United States and these two countries increased markedly. As the US domestic political environment has deteriorated, so, too, have America’s relations with those that are perceived as its principal adversaries. When China’s President Xi Jinping rose to power just over five years ago, he presented the idea of a “new type of great power relations” based on cooperation and dialogue, as well as respect for one another’s national interests. But China does not always live by what it preaches as far as cooperation is concerned, as its unilateralism in the South China Sea indicates. Likewise, the relative loss of influence of the Chinese diplomatic corps contrasts with the emerging symbiosis between Xi and the People’s Liberation Army. Xi has even shown a surprising predisposition to wear a military uniform. Russia, for its part, has invaded two former Soviet republics in the last decade, and its military spending as a share of GDP has been increasing almost exponentially. 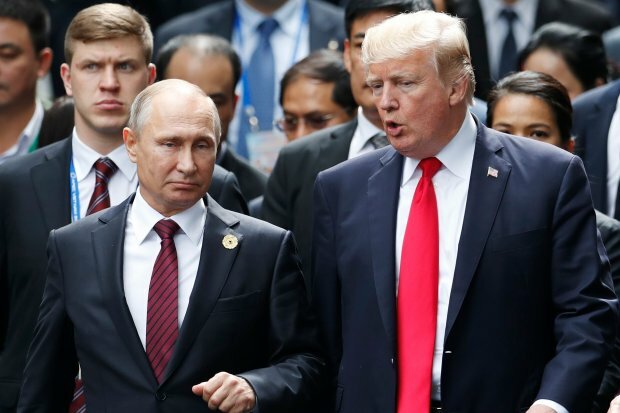 On top of this, the US and Russia have accused each other of violating the Intermediate-Range Nuclear Forces Treaty, the only Cold War-era agreement on armaments between the two countries that remains in force. While it makes sense to recognize the current challenges, we should refrain from exaggerating them. In the past few months, the US administration has published three important documents: the National Security Strategy, the National Defense Strategy, and the Nuclear Posture Review. In all of them, China and Russia are explicitly identified as serious threats to the international order. But the principal threat to the US today does not come from China or Russia; it comes from the confusion characterizing its own policies, owing to Trump’s rejection of the very international order that the US helped forge and defend for decades. It is worth remembering that when Trump tries to intimidate North Korean leader Kim Jong-un by boasting of US military power, the facts are – for once – on his side. US military spending is by far the world’s highest, almost three times that of second-place China, and almost nine times that of third-place Russia. Indeed, the US spends more on defense than the following eight countries combined, and possesses the world’s most sophisticated nuclear arsenal. But, despite the Trump administration’s frequent (and often ungraceful) declarations of military superiority, its actions imply that this superiority is not enough. The Nuclear Posture Review is the best example of this cognitive dissonance. The new US doctrine stipulates an increase in the number of tactical nuclear arms with relatively small explosive potential. The objective of this measure is to neutralize Russian capacities in this field, thus “denying potential adversaries any mistaken confidence that limited nuclear employment can provide a useful advantage over the United States and its allies.” But if the confidence is indeed mistaken, why respond as if it were not? In contrast to the Pentagon’s view, the costly development of more tactical arms would in fact lower the threshold for nuclear conflict. And, as Brookings expert Robert Einhorn explains, the Nuclear Posture Review includes another doctrinal provision with a similar effect: the statement that the US could use nuclear arms in response to “non-nuclear strategic attacks” that are only ambiguously defined. To lower the nuclear threshold increases the risk of a global catastrophe, a risk that the Bulletin of the Atomic Scientists currently places at its highest level since 1953. Even in the highly improbable event that an uncontrolled escalation could be avoided after “a limited nuclear employment,” one tactical weapon alone could generate an explosion comparable to those that destroyed Hiroshima and Nagasaki. Nine years after Barack Obama’s famous speech in Prague, in which he committed to seeking a world free of nuclear weapons, disarmament has ceased to be a strategic priority for the US (which, as the world’s biggest power, should lead efforts in this area). Obama’s Nobel Peace Prize now seems a relic from the past, and the one awarded to the International Campaign to Abolish Nuclear Weapons last year has a sad, anachronistic ring to it. A new arms race, for which Trump has expressed his support, appears to be underway, though for now it may focus more on perfecting arsenals than on increasing their total size. 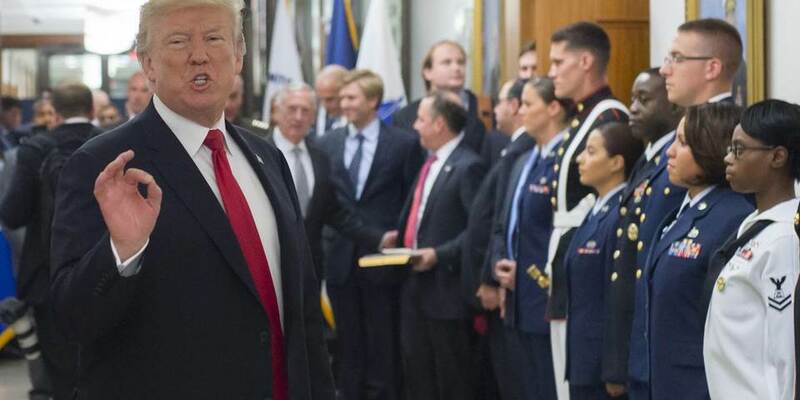 Moreover, the Trump administration has just presented a budget proposal that would increase military spending, while cutting funds for the State Department by 25%. Although congressional support for the proposal is weak, Trump’s budget is yet another symptom of his aversion to diplomatic channels. This is one of the causes of the notable degradation of America’s international image, a trend that doesn’t seem to trouble the current administration much. What really worries the Trump administration – aside from Iran and North Korea – is the strategic competition represented by Russia and, above all, by China. But, given mounting Russian and Chinese militarization, it is critical to avoid adding fuel to the fire. A great-power conflict is not inevitable – unless these powers act as if it were. What should alarm the US most is not the multipolarity that has been evolving throughout this century. Rather, the greatest risk to the US is that it could forget the principles and institutions that have shored up its global leadership. If the Trump administration continues emphasizing a narrative of confrontation, it could end up creating a self-fulfilling prophecy.